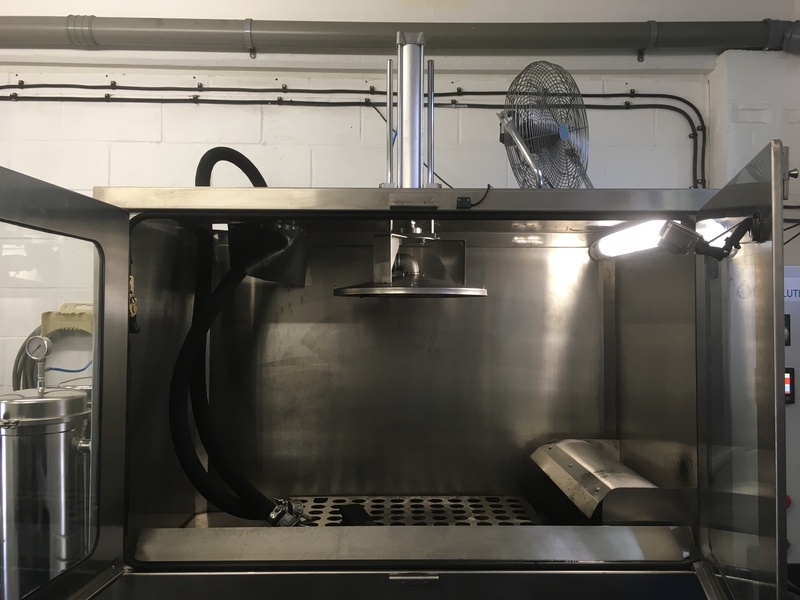 This time last year we made the drive to The DPF Centre open day in Maidenhead to see the latest in DPF cleaning technology and were admittedly skeptical with regards to their claims on how well this machine worked. One year on based on our own results we can safely say it is the most thorough way to clean a DPF we have used. Price? It is always the biggest motivating factor and who can blame anyone for searching out the best deal after all thats what we are bombarded with everyday but you don’t complain to the supermarket that there oranges are dearer than the competitor’s apples! But that seems to be what we are faced with on a regular basis. So my opinion based on the calls we take, comments on facebook, customer satisfaction and what we have picked up from being in the DPF industry for over 10 years is that we sit on the more professional quality end of a DPF clean, not a great start! 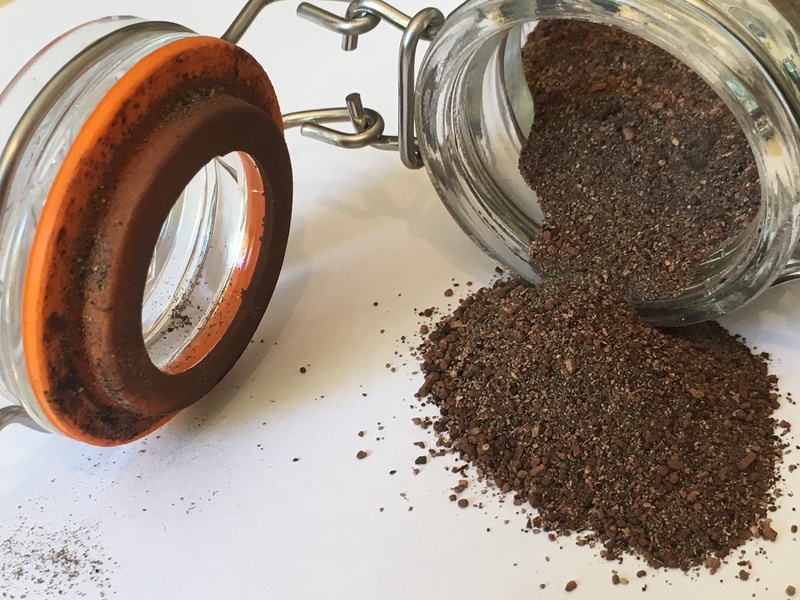 So removing the DPF for cleaning is the other option, dependant on the process being used this gives a chance to remove the ash that has built up within the DPF. So why do we favour this process, simply it works! Having cleaned over 100 DPF’s using this process we have had a 96% success rate. The failures can be categories in to two main areas, previously attempted with an on the car chemical clean, or over 175,000 miles. We have had a number of cars this year that we haven’t been successful on that we have after talking to the customer found out that an on the car clean had been attempted first. As a general rule any on the car clean is going to be using a chemical and the car will be put through a generation process while the chemical is present within the DPF. This would seem to effect the construction with the DPF that can not be reversed. As a brief explanation, every DPF as a set flow rate which is monitored by the DPF sensor this is done by monitoring the back pressure created within the DPF. If the back pressure is increased by a change to the construction internally the DPF will think needs to regenerate more often than it needs, we had one vehicle that thought it needed to regenerate again after only 6 miles! High mileage DPF’s could have had a really hard life so perhaps unfair to just categorise them as we have had many many success stories, one recent DPF cleaned successfully at 235,000 miles. So it is worth an attempt and what we have done in a number of the cases where it hasn’t worked is sourced a second-hand genuine DPF and cleaned it for free (under the 12 month guarantee) before fitting it. To summarise I believe this system works as it just uses heated water and is pumped through in reverse at 360 metres cubed per hour, which is over 3 times the volume of our similar competitor’s machine using the same style system. Testimony to this is the amount of ash which is collected from the machine. With a before and after back pressure test we can monitor the results. In the case of a completely blocked DPF, the DPF is pre soaked in advance prior to going in to the machine. But not all DPF’s need cleaning some just need a bit of assistance to get back to being looked after by the management system. 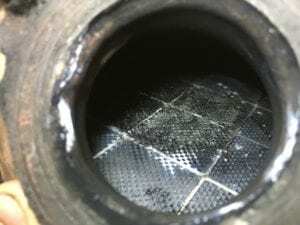 We have found through out the this year that the frequency for misdiagnosis is pretty high and from the simplest suggestion of put enough fuel in it and take it for a drive to replacing a section of rubber pipe rather than a quoted £1500 DPF (Volvo main dealer) can resolve many issues without needing a clean. For the reason we offer an assessment to enable us to look at the best way to resolve the issue and discuss with you the best way to prevent the problem reoccurring in the future. 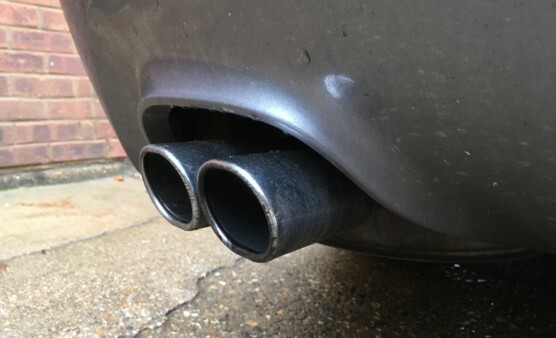 DPF cars like to be used a certain way which we give details about on our DPF page.